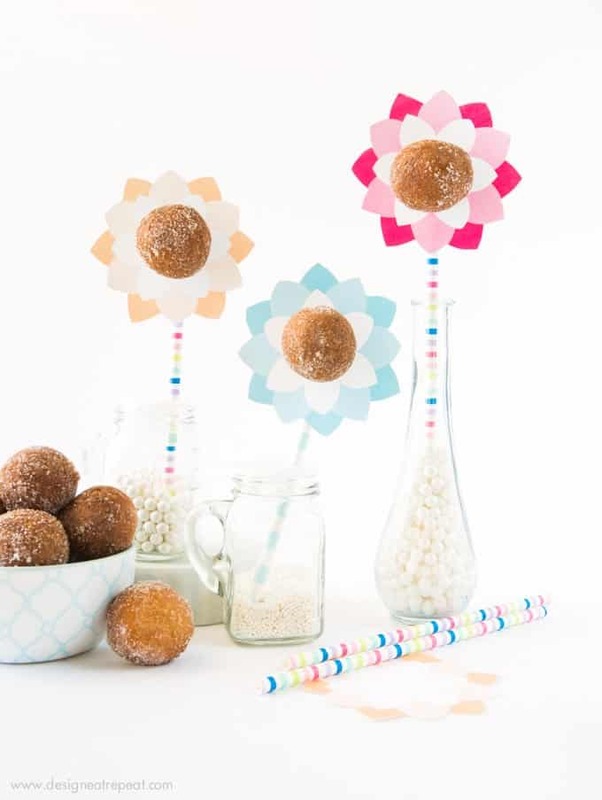 These donut hole flower pops are easy to make, kid-friendly, and the perfect addition to your Spring party or Mother’s Day brunch! Up until about a year ago when I started doing more styling work, I never quite caught on to the amazingness of fresh flowers. Mainly stemming from the fact that I would ask myself why spending $15 on a bunch of flowers that would wilt in a few days was a better investment than something like chocolate. But then I started working with them more and now I can’t leave the grocery store without at least side-eyeing those lovely blooms. Sure they’ll die in a few days, but the few days that they are alive chilling on the fireplace mantle is a rainy day mood booster that can’t be beat. 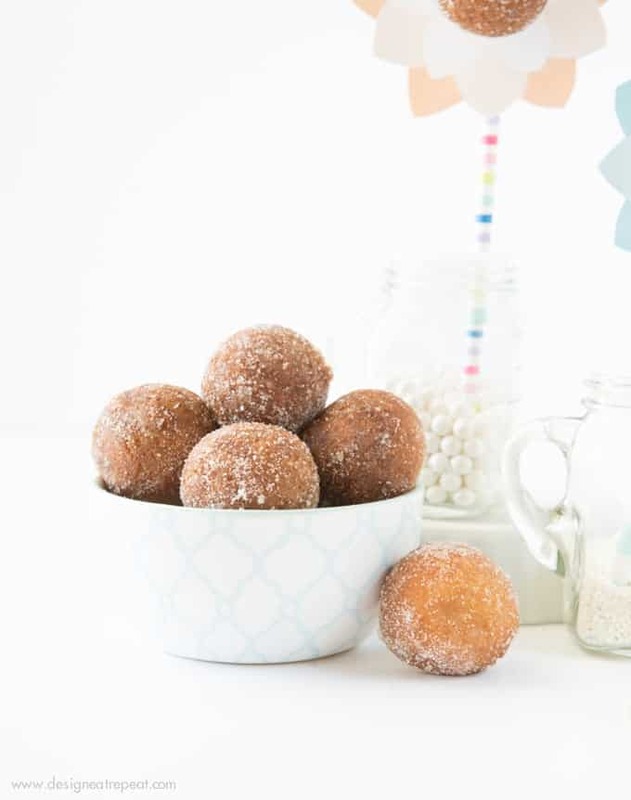 Unless you also happen to stumble across the grocery store bakery and just happen to toss a bag of fresh baked donut holes into your cart. I’m not sure what is better: Flowers or Donuts? That’s a lie, donuts always win. 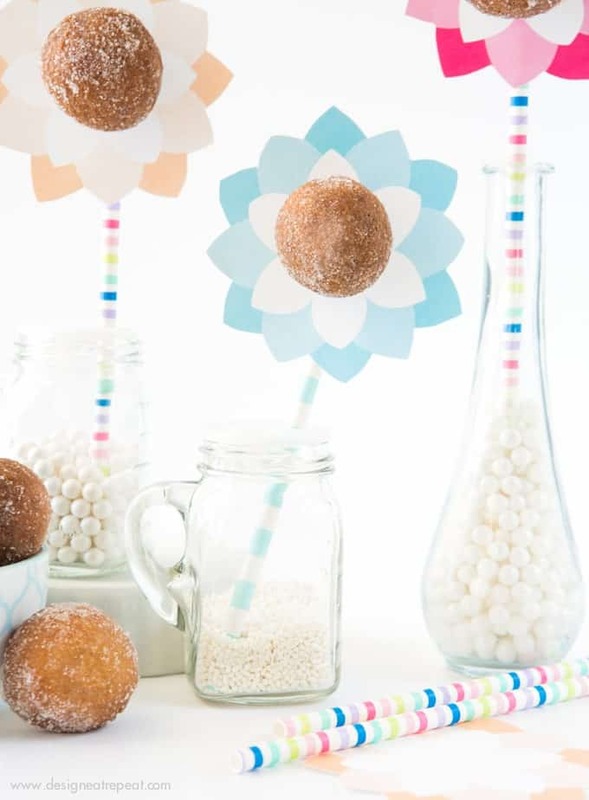 But with these donut hole flower pops, you don’t have to choose! You get a little bit of both. Or a lot of both if you choose to hoard the whole bowl to yourself. 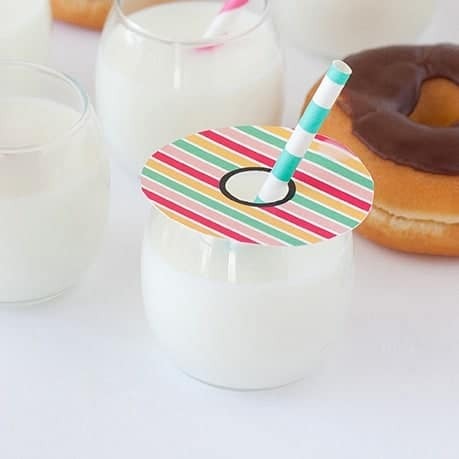 So what do you need to pull off these donut pops? 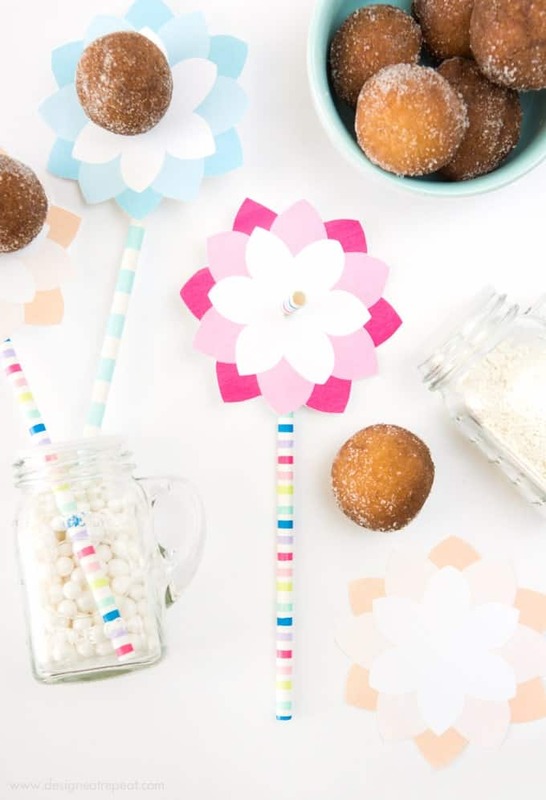 A printable flower, paper straw, and donut hole. That’s all. Done-so. Consider your brunch beautified with doughy goodness and fresh blooms straight from the printer. After printing out the flower printable, use an exacto knife to cut out a mini plus sign into the centers of each one. 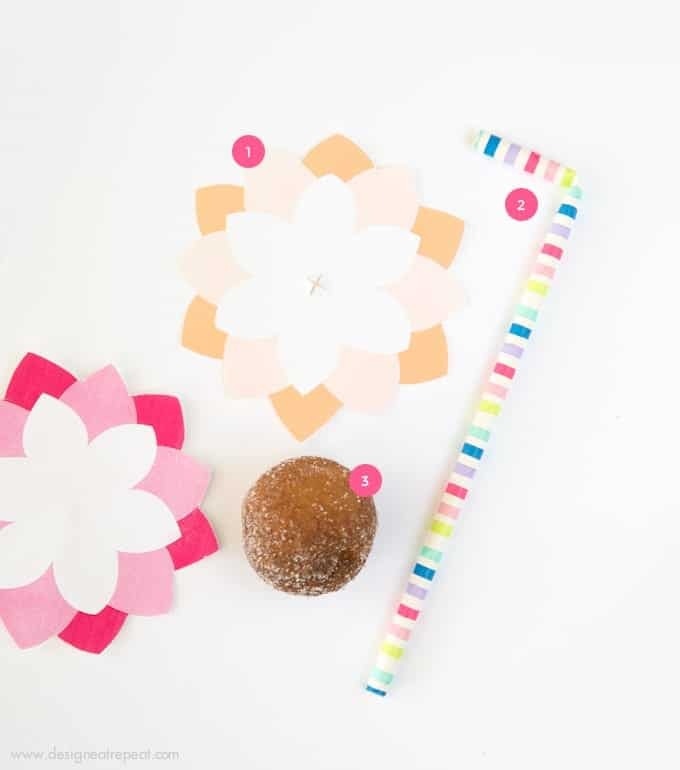 Bend the top of the paper straw, slip on the flower printable, and then pop on a donut hole. 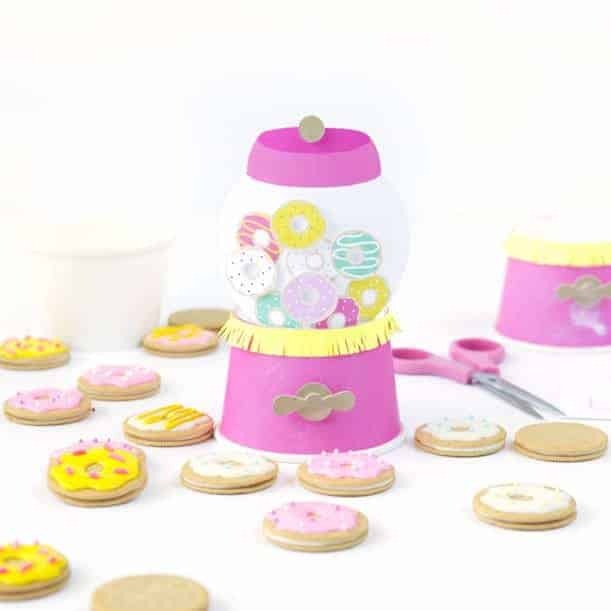 You can lay these at each place setting or display them in little sprinkle jars like you see here. And if you really want to go out with a full bouquet, put some styrofoam in a large flower pot, fill with fake grass, and grow yourself a donut garden! Haha thanks, Toni! 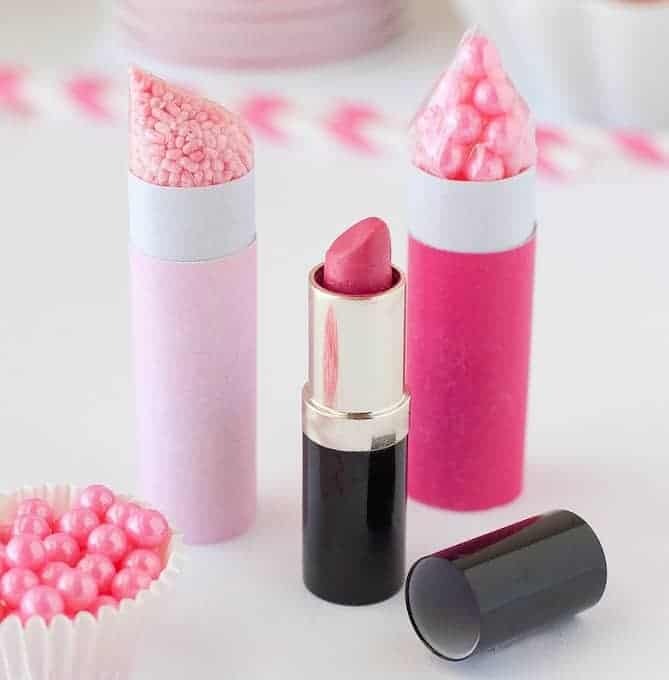 Although I must say that YOU are the queen of clever baking twists. And YES, aren’t those straws the cutest? I saw them at Target and had no choice. Have you been to their party aisle lately? It’s on point. I had to restrict myself from buying all the new party hat designs they had!